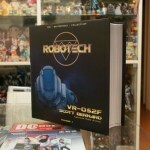 Robotech Masterpiece Collection Cyclone Ride Armor In Box! Toynami’s Masterpiece Collection(MPC) VR-052F Cyclone Ride Armor Stick Bernard Type Vol.1 has been delayed, but patiently awaited by fans. Seen here are in package images, so it might finally be on it’s way here! Produced by Beagle with all new head sculpts designed by Tommy Yune, these will be sold here for a more affordable price than the Japanese versions under the Mospeada banner. 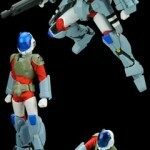 At long last, Toynami reveals the “Masterpiece” line of Robotech Cyclones!